3 But Jonah ran away from the LORD and headed for Tarshish. He went down to Joppa, where he found a ship bound for that port. After paying the fare, he went aboard and sailed for Tarshish to flee from the LORD. (Jonah 1:1-3). I have a very short question for you: What are you running from? I chose this familiar passage about Jonah because, for me, it is a mirror of certain times in my life where (if I were honest) I was PETRIFIED about where God was taking me. Did you catch that? Not what He wanted me to do, but where He wanted me to go. Sure, I was ready to hold a bible study class in New York in a posh Starbucks, but what about Nigeria? Or Asia? What dilemma would that pose in my life? What “negotiations” would I try to have with God? (i.e. I won’t go to too many parties, God or I will listen to gospel for the entire year). It is amazing that we were “fearfully and wonderfully made” (Psalm 139:14) but at times it is hard to comprehend that we ALSO are to possess the same spiritual DNA of FEARLESSNESS! Being presented with a challenge is a revelation of two major things: Number 1: that you have a connection with God. Face it: if it were up to you, all things would work well all the time. It can be hard looking at some of our counterparts that seemingly have it easy five days of the week, and then golf all weekend. “Again, God? I have to sacrifice again?” is a thought that may have popped up once in your life. But challenges should not remind us of God’s wrath, but of God’s TRUST in our daily walk. He TRUSTS that we will be the light of the world and the salt of the earth. He TRUSTS that we will be a peculiar people. He TRUSTS that we will bear fruit IN & OUT of season! And He TRUSTS that we will avail ourselves to the purpose He designed for us before we were even conceived. Circumstances were made for this world, but that is not a problem for the AUTHOR of circumstances. And as His children and heirs, we have inherited heavenly favor to conquer what needs to be conquered for any task to be completed. If you are being led to do something you otherwise would have never imagined, don’t run away–run to the Father. Number 2: that you truly were created to DO, not just to BE. We are all born human beings, but once we accept Jesus Christ as our Savior, we have a renewed creation–we are now human DOINGS. Our life is defined by our actions. Our witness to others has very little to do with what we KNOW of God, and more to do with what we SHOW of God. Running away from a challenge is not only a reflection of one’s walk with God, it is a detriment to those who are waiting for you to SHOW God in their life. Did you ever stop to think that your ENTIRE life could be to save one child across the country? Save a family from famine in Singapore? Save a stranger from an addiction? Jesus would have died just save YOU! So…Yes…YOU have that same power! I encourage you to read Jonah in its entirety. Jonah was human, just like you and me. Yet his story made it into the Bible as a testimony of how human we are, and how GREAT God is. 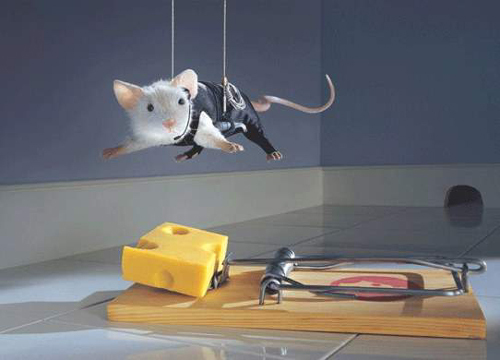 But let it also serve as a reminder of how great WE can be if we take on the mission impossible. This entry was posted in Thursdays with Ify and tagged Author, challenge, christian, conquer, fear, God, impossible, Jesus, Jonah, mission, renewed, running, task. Bookmark the permalink. OMGEEEE sis. Powerful. Yo, you spittin’ philosopher quotes left & right!!! Praise God!!! This post is right on the money. Spending time overseas really gave me a much bigger inclination to know that being CALLED for MORE (what/whereever MORE IS) may not take us where we’re comfortable. It’s actually pretty scary, but you’re so right sis, Jonah was mere man…we can be touched & used accordingly. Trust, we can’t run forever anyway. And as you eloquently stated: “challenges should not remind us of God’s wrath, but of God’s TRUST in our daily walk.” Beautiful Ify. Thank u 4 sharing. Thank you for your support B&F sis! First can I just say how much I love the pic at the end of the post! I hate rodents but that pic is too funny! Second, you broke this thing down sis. It’s hard to believe sometimes how God can trust us so much when we feel we are such huge screw ups. I know I have those thoughts often. BUT, with His grace I’m able to conquer it all. 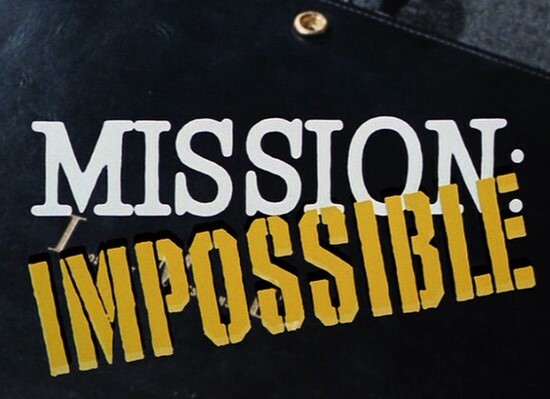 Thank you for the reminder that this mission we are called to is POSSIBLE with God. Just seeing this today, but better late than never:) Yes, that pic is soooo darling! and It is always a great reminder that nothing is impossible with God. So much comfort with that!